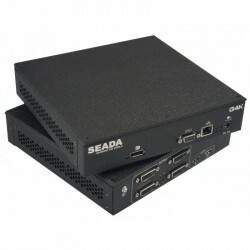 The G4K-1U-D Rack Dual Set from SEADA Technology is able to turn two G4K vi.. 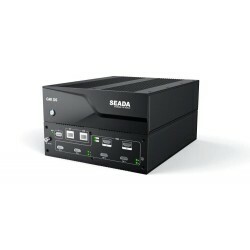 The G4K-1U-S Rack Single Set from SEADA Technology is able to turn one G4K .. 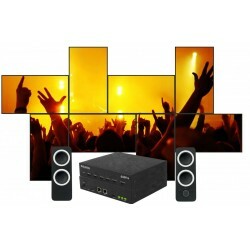 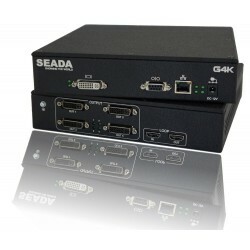 The G4K-DP-FL DisplayPort Video Wall Controller From SEADA Technology is de.. 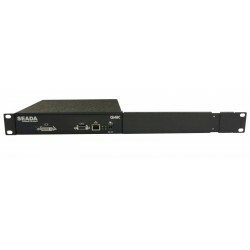 The G4K-DVI-FL DVI Video Wall Controller from SEADA Technology is perfect s..
SEADA G4KDS-2H 2x2 Video Wall Controller -2H device combining edge blender,..
SEADA G4KDS-4H 4x4 Video Wall Controller -2H device combining edge blender,..
SEADA G4KPro Fanless HDMI Video Wall Controller offers 4K HDMI input and Fo..
SEADA SW2008 8x8 HD Video Wall Controller designed to meet the need for sma..
SEADA SW2016 16x16 HD Video Wall Controller offers up to 16 display outputs..
SEADA SW2036 32x36 HD Video Wall Controller able to capture 32 HD video inp..